We were always in love with the title sequence lettering to Godard's movies Made in U.S.A. and 2 ou 3 choses que je sais d'elle. So as an hommage to Jean–Luc, to the Nouvelle Vague, to Seberg, Karina, Faithfull & Cie., we present you our Jean–Luc typeface, as a birthday gift for everyone. Voilà! We didn't find out who originally made the lettering for these two movies. Some speculate it could have been Godard himself – Godard's interest in graphic design and typography is clear, with many of his other films employing such strong typography–only titles and intertitles. They are almost a self–sufficient entity, another character in the movie, another comment. We can not prove this at all, but we think it may be derived from the stencil letters of the Plaque Découpée Universelle, a lettering device invented in the 1870s by a certain Joseph A. David, and first seen in France at the 1878 Exposition Universelle, where it found broad appeal and rapid adoption. We think this style of lettering was absorbed into the public domain vernacular of French lettering, and that the 2 ou 3 choses titles are derived from these quotidien lettering style, as it would seem to fit Godard's obsession with vernacular typography." There are numerous films that deal with issues relating to non–place. 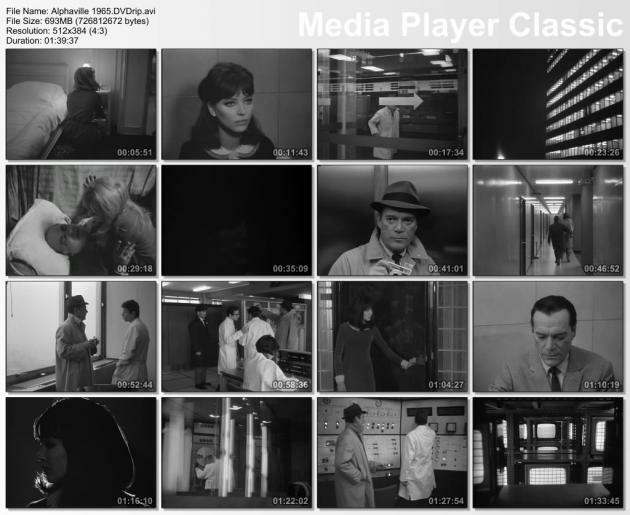 One key example if the 1965 film Alphaville, made by Jean Luc Godard about a futuristic city where its inhabitants are controlled/programmed by a central computer. At no time during the film does it feel that any of the inhabitants actually reside or belong to the city. The city appears to be a conduit between the objectives of its master and it's subjects. The city is a non–place that facilitates occupation and transport without offering placement. The institutional nature of engagement within the narrative space reinforces this. Rooms speak their status without addressing anyone specifically, compass references are offered but without any clear connection to a specific geography. The only avenue for escape for the film's protagonist (and his love–interest), is to exit through another non–place: one of the city's interstate highways.